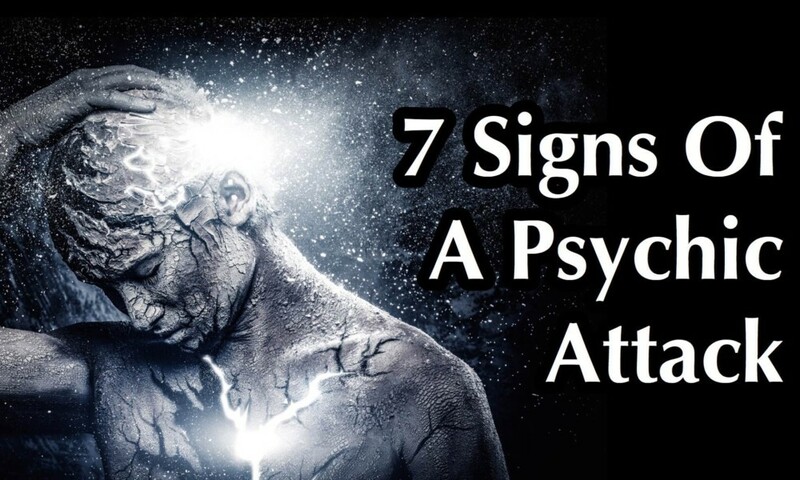 People who believe that they have experienced a psychic attack are often afraid to come forward for fear of not being believed, but there are some victims who know that there is nothing physically wrong with them and that are feeling one or more of these 7 signs of attack. Unfortunately, there are some malicious people with the knowledge of how to psychically attack others so let’s look at some ways that you can defend yourself from a psychic attack. Beliefs about psychic attack can be found in many cultures, from Russia to China, from India to those who study the Jewish tradition of Kabbalah. One Chinese study of colorectal cancer and the risk factors associated with it concluded that psychic attack was a factor that should be considered as a potential cause of poor health in patients. A psychic attack is used to harm another person by manipulating and controlling them, by sending negative energy toward them. This mental manipulation is done without your knowledge and it can cause physical symptoms similar to an illness as well as depressed mood, anxiety and suicidal thoughts. If you have concerns about feeling any of these symptoms, seek a medical professional to rule out a physical illness, but also seek a psychological consultation to rule out mental problems as well. Once you know that theses are not factors in your condition, seek to safely remove yourself from the person you suspect of psychic attack. Negative thoughts that did not come from yourself can make you question your sanity following a psychic attack. Knowing yourself well enough to recognize a foreign or intrusive thought that is unusual is key to recognizing this sign of a psychic attack. A violent nightmare may be a sign of a psychic attack. Examples of these types of frightening dreams are a feeling of heaviness on your chest, trouble breathing, or an intense fear of being held down or choked. Psychic suggestion is one method of manipulation that is similar to hypnosis and it is a sign of a psychic attack. When you feel as though you are in a trace state that was not brought on by your own meditation, it may be a sign of a forced hypnosis or psychic attack on you. Although psychic attack is not rooted in a specific spirituality, followers of occult magic have been known to use psychic attacks as black magic so wearing a cross or blessed religious item on your person can help you defend yourself from these attacks. A rational explanation may not be evident to you when you feel frozen by fear. This is a similar feeling to a panic attack, but it can last much longer. Rapid breathing, fast heartbeat, sweating, and nervousness are all symptoms of anxiety, but not being able to leave your home for days due to intense fear is a sign of a psychic attack. One of the ways that Dion Fortune suggests protecting yourself against a psychic attack is to cross a source of moving water like a stream, for example. A shower is also a source of moving water, so this will help to cleanse negative energy as well. To add to the psychic protection, use a salt scrub in the shower or to bathe in a saltwater bath. Salt also has a cleaning and purifying effect and will help wash away any lingering negativity. While you shower or bathe, say a prayer or blessing that is directed at cleansing away the negativity and purifying your psychic energy. Dion Fortune describes herself as not being in control of the placement of her feet after one potent psychic attack. Burning white sage can be used to cleanse the space around you of negative energies. Wave the smoking bundle of sage around your home as you invoke positive energy and tell the negativity of the psychic attack to leave.